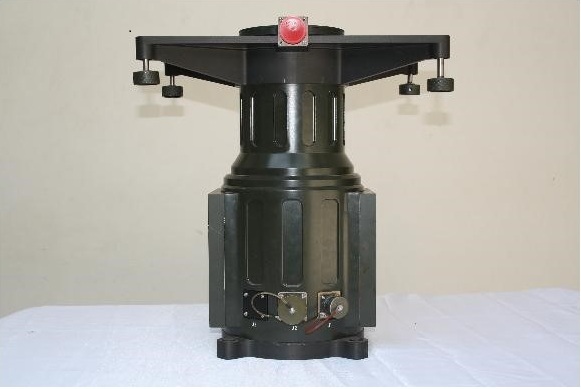 SCTSPL has developed the Radar Pedestals for Low Level Lightweight Radar (Bharani) & 3D Low Level Light weight Radar (Aslesha) for LRDE, Bangalore to meet airspace surveillance in mountainous areas to provide airspace awareness, including intruding objects like aircraft , helicopters and UAV for Indian Army and Airforce. They are designed to rotate 360 degrees continuously with payloads weighing up to 75 kilograms. The Pedestal has slip ring and RF rotary joint for signal and power transfer between stator and the payload. 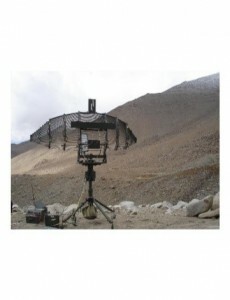 While BHARANI Radar is for Indian Army, the ASLESHA is meant for Indian Airforce. 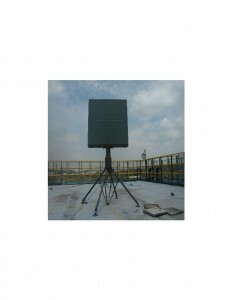 These lightweight radar pedestals typically meet the operational requirements like transportation, quick deployment and decamps, low energy consumption perform in touch weather conditions including high-speed winds. Continuous Torque 120Nm at 25 rpm. Continuous Torque 120Nm at 20 rpm.